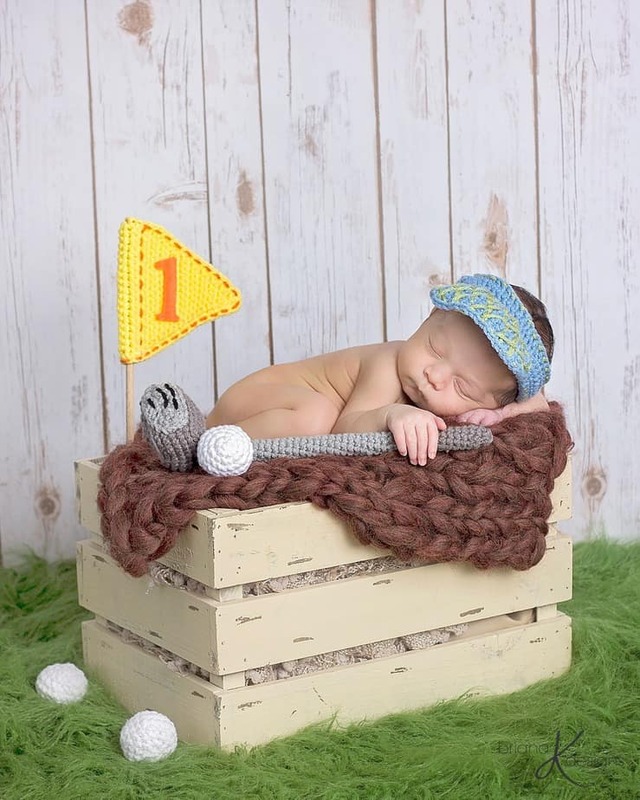 FOUR!!!! 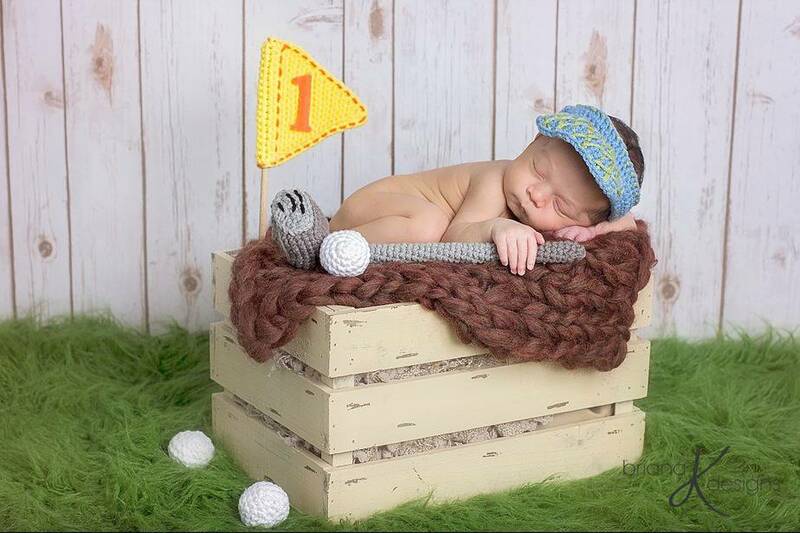 A hole in one set coming your way! 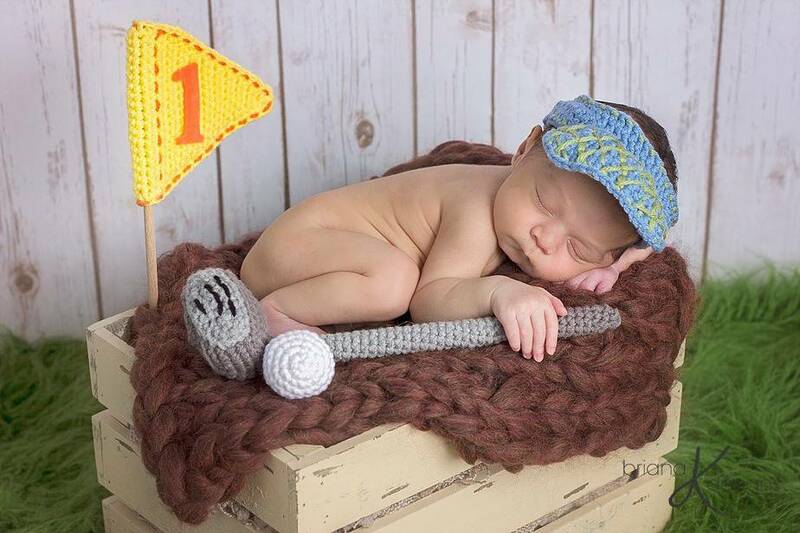 Adorable set includes instructions for the visor, golf club, golf ball, and flag. 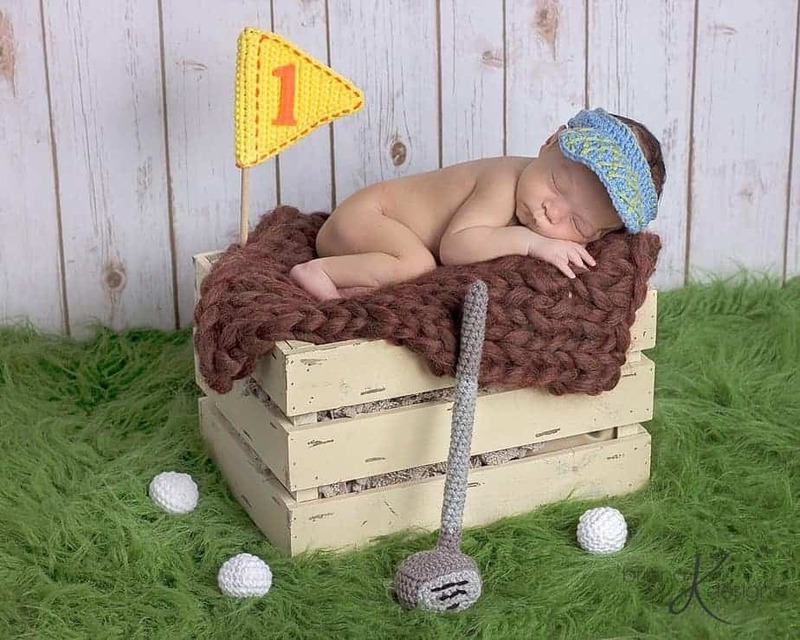 A perfect way to showcase the game of golf in newborn pictures, or for a fun at home outfit.